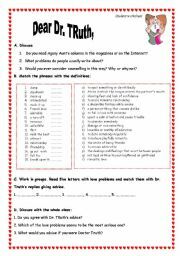 The worksheet consists of one page for all the students with some questions and vocabulary on the topic of love, relationships, agony aunt columns, 5 pages with love problem letters and replies to cut and distribute to groups of ss and some teacher´s notes. Hope you find it interesting. 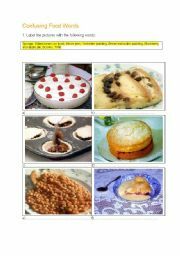 This worksheet has been designed not only to practice food vocabulary but also to raise some cultural awereness about British and other national cuisines. 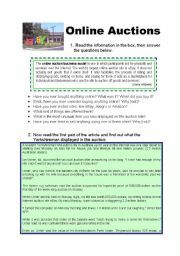 The info is adapted from http://elt.britishcouncil.org.pl/elt/ and Wikipedia. Hope you enjoy it. 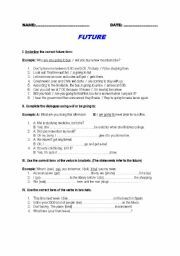 The worksheet includes speking, vocabulary and comprehension activities connected with the topic of internet auctions. There is a nice authentic story described. May generate a lot of discussion! Very interesting crossword that reinforces vocabulary connected with environmental problem and sources of energy, with answer key. 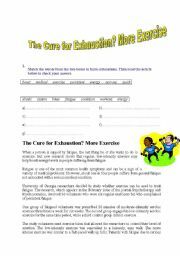 It´s an easy worksheet to practise must, shoul and have to. 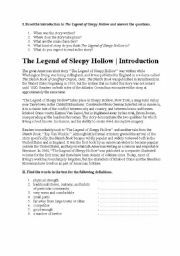 It includes two activities and an answer key. 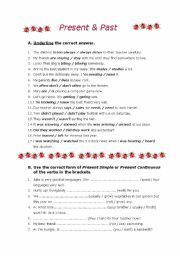 Three grammar exercises to practise present simple, present continuous, past simple and continuous. Can serve as a revision of different future structures. There´s also an answer key. 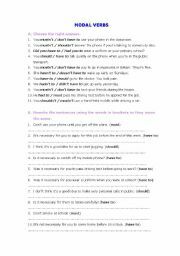 The aim of this ppt is to give examples of expressions used for talking about things we like or don´t like and encourage students to talk about themselves using those phrases. Hope it´s useful!